Are You Fully Ready for a Business Meeting in Spain? If you are preparing for a business meeting with Spanish partners or looking at concluding a deal in Spain, you have certainly looked into the details of the contract and prepared your negotiating arguments. But have you thought of how meetings are conducted in Spain? As business culture and etiquette varies from country to country, adapting to the local business culture is essential to avoid any faux pas and optimise your chances of success. We have put together a few tips to help you navigate the business etiquette in Spain. Find out more about the best languages for doing business in Europe. Handshakes and the use of surnames are standard for business meetings in Spain, as is the use of formal titles of courtesy such as Señor and Señora. However the informal tú may be used instead of the formal usted, after the usual introductions. While in the UK business and private life don’t usually mix together, it’s a different story in Spain. 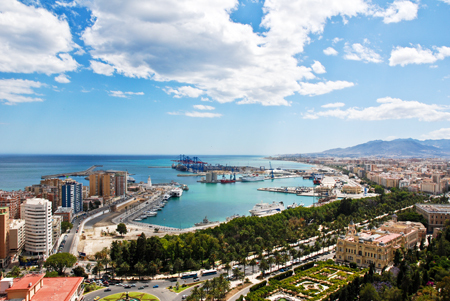 Any business relationship with Spaniards will start by getting to know the people involved. During the first meeting, your Spanish counterparts may ask you questions about your background and family life. Be ready to answer these, as it will demonstrate you are trustworthy and reliable. Closing business deals over a meal is not as common in Spain as it would be in other countries. Business is usually done at the office while meals are usually a time for relaxing and celebrating. Use mealtimes to develop rapport with your potential partners. Another tip: bills are normally not divided and are paid for by the host. If you have been invited, reciprocate at a later occasion. Southern Europeans may not have a reputation for punctuality, but being on time is as essential as it would be in the UK. Your Spanish partners should be on time, but you may have to wait up to 15 minutes. When it comes to decisions, the key word is patience. Reaching a final decision can take time, especially if the company needs to make substantial changes as a result. It is likely that several meetings will be needed before making a decision. And decisions are typically made orally before being put in writing. Previous: Can language apps replace face-to-face language training?